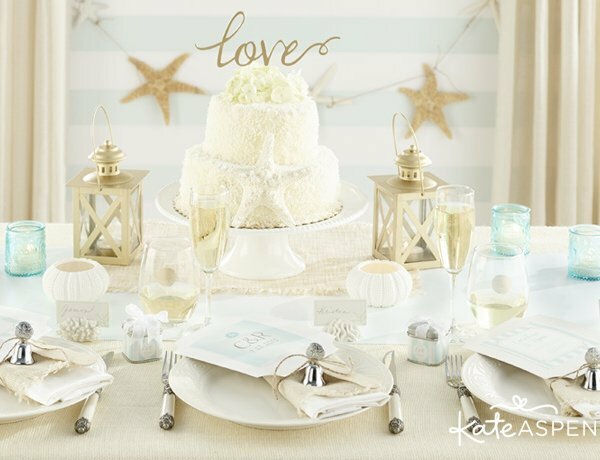 The word of the day is "love" so what better way to top off your cake? 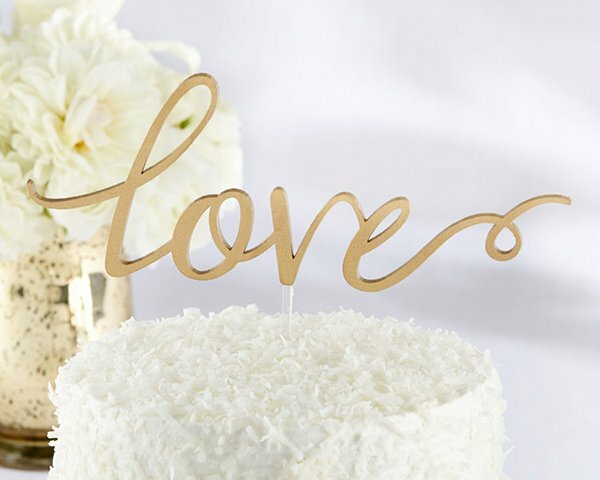 Whether you're celebrating a bridal shower, engagement party, anniversary or wedding, our Love Gold Script Wedding Cake Topper exudes romance and sophistication from every little detail. The elegantly designed gold acrylic cake topper is food safe and adds an interesting look to any cake. Product dimensions: 8.65" H x 8.5" W x 0.16" D.
Is this a smooth finish or glitter? I would like smooth finish. My wedding is February 16, 2019. Will this arrive in time? 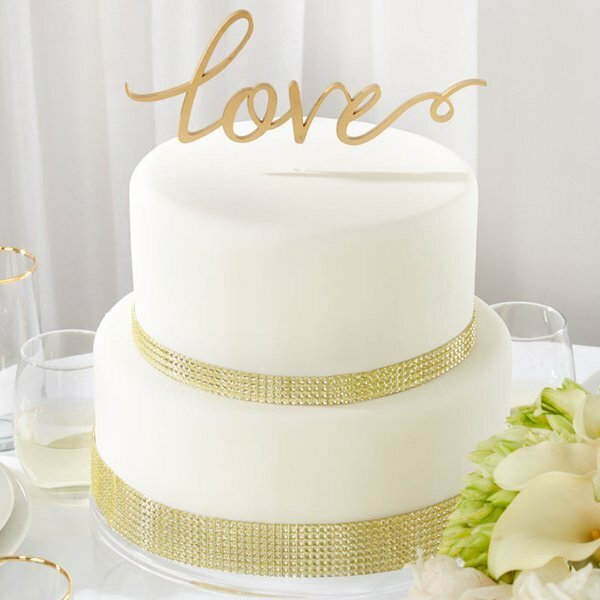 The Love Gold Script Wedding Cake Topper is smooth finish and it takes 5 business days for processing and shipping. If you order today, you will still get it before the 16th. © 2019 Wedding Favors Unlimited. All rights reserved.